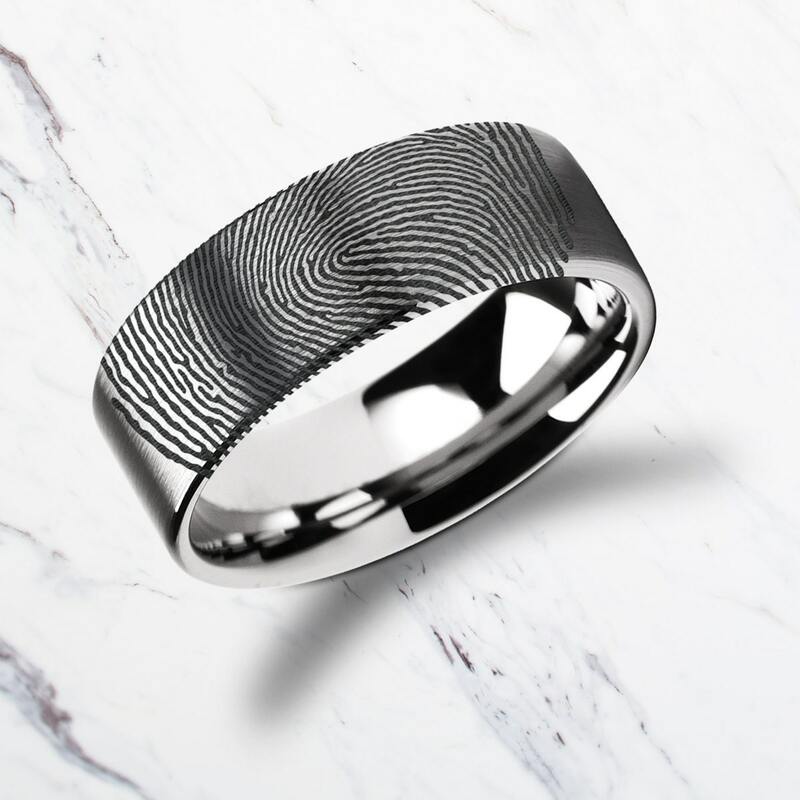 This is a tungsten carbide ring with a fingerprint engraving on the outside (request inside engraving in order notes!). This ring flat and brushed in design. 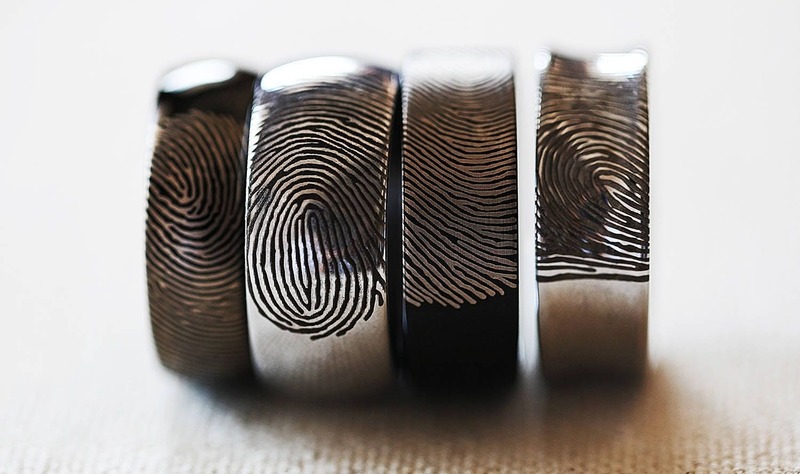 Your personalized fingerprint is prepared by graphic designers for laser engraving to ensure the best clearest appearance is achieved. After ordering, please take your fingerprints as clearly as you can by using any color ink and white paper. 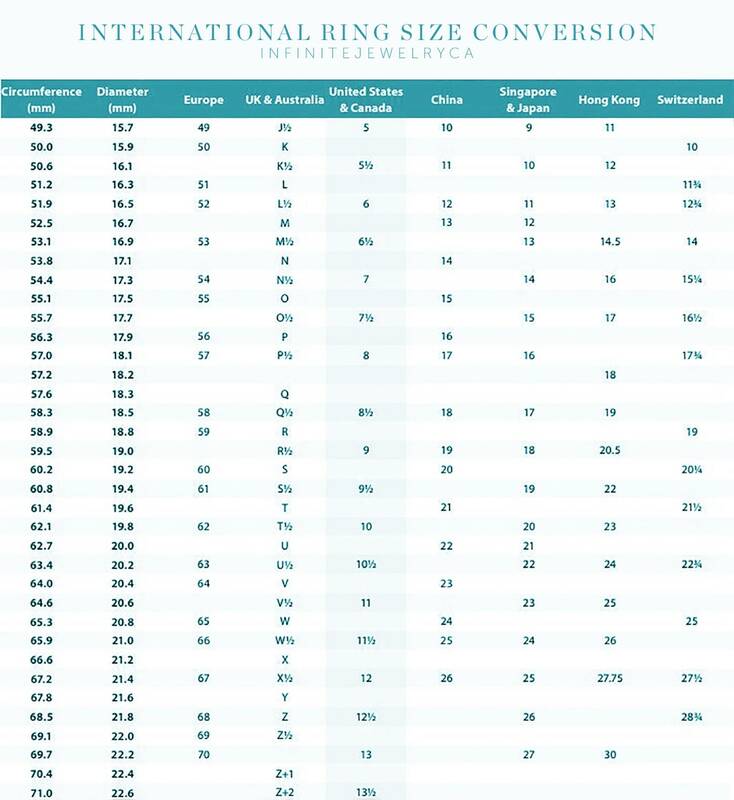 Simply take a photo of the results and message them to us! 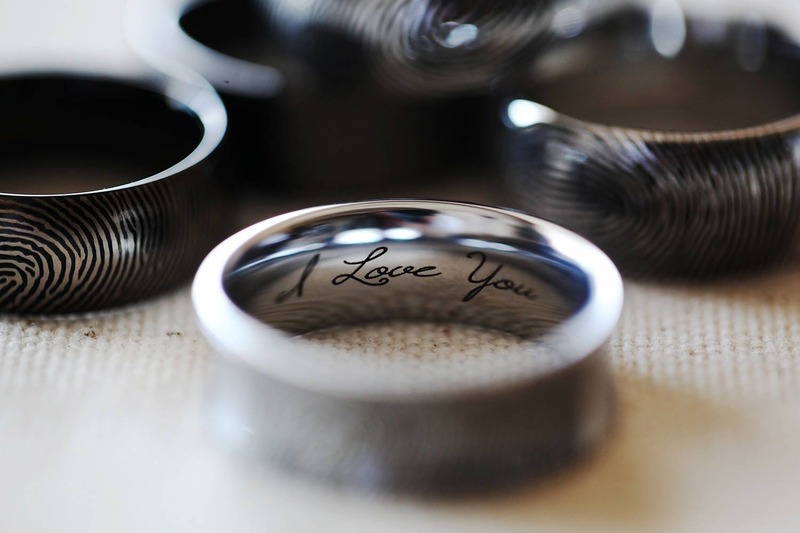 The ring is perfect. My fiancée loves it. 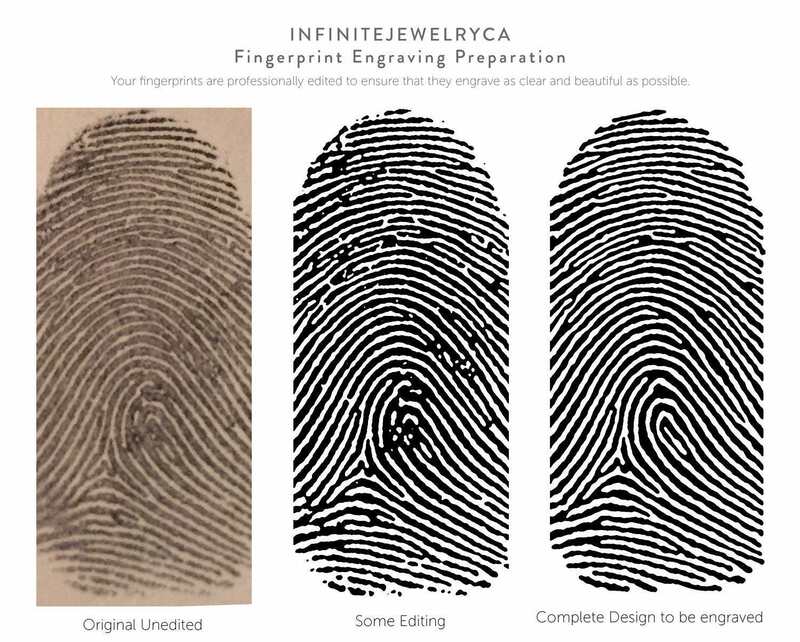 Aaron from Infinite Jewelry answered all of my questions quickly and helped to make sure I got just what I needed. The ring arrived and was so beautiful, but I had ordered the wrong size. I was on a tight timeline and needed the replacement ring right away. Aaron went out of his way to get a new ring to me in record time. I highly recommend this seller and will definitely buy from this shop again. The ring is beautiful and the customer service is some of the best I’ve ever had. We had to send the ring back because it was bigger than we expected and they quickly responded with an easy resolution. We got the new ring and we love it! I would highly recommend this seller. Amazing seller and amazing product! 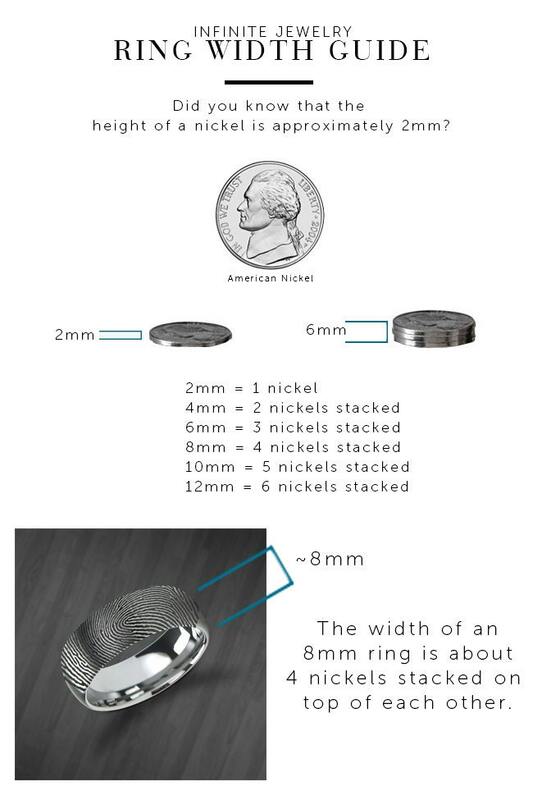 Ordered this for our wedding band and was stunned at the incredible level of customer service. Quick responses to all of our questions, thorough and courteous communication! Love the ring and love the option of lifetime exchanges! Thank you so much!! This ring came out great! I was very impressed at how well the print came out on the ring. That definitely makes it one of a kind and special to me. There was a mistake when ordering this ring, but the company went above and beyond to make sure we were taken care of and in such a timely manner. There was no waiting for responses, as we were contacted within a couple hours of each message. The fantastic customer care we received honestly surprised me - they were so pleasant and helpful. This company will definitely be getting my business in the future.